Happy Friday! Can you believe that Halloween is only a couple of days away? Does everyone have fun plans? My sisters and I are throwing a costume party for the kids at the lake this weekend, and yes, us adults have to dress up too! It will be a day of pumpkin carving, Halloween cookie decorating, and spooky games, which I'm sure will be a blast for the kids. Make sure to follow along on Instagram or Snapchat (Rach480) to see all the fun, and what I end up wearing. Although I thought it would be a fun idea to share a Halloween inspired look with you today, the truth is, I didn't get my act together and plan my costume far enough in advance. So instead I'm sharing a cute look that is perfect for these cooler fall days. 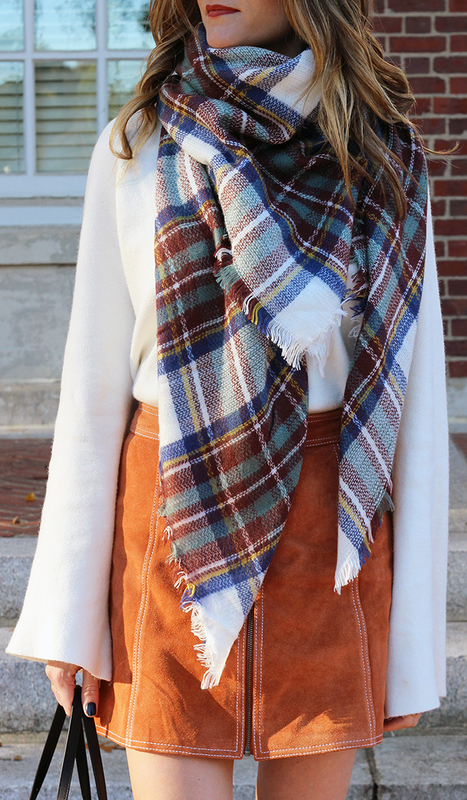 There is nothing that screams fall more than plaid, and although I love wearing the occasional plaid shirt and coat, my favorite way to add the print to my look is with a scarf. This scarf is from a boutique called Ilymix, and I couldn't love it more. They have a beautiful selection of scarves and wraps, and this one is so soft, I can't stop wearing it. Most of their scarves are under $25, which is a definite plus! 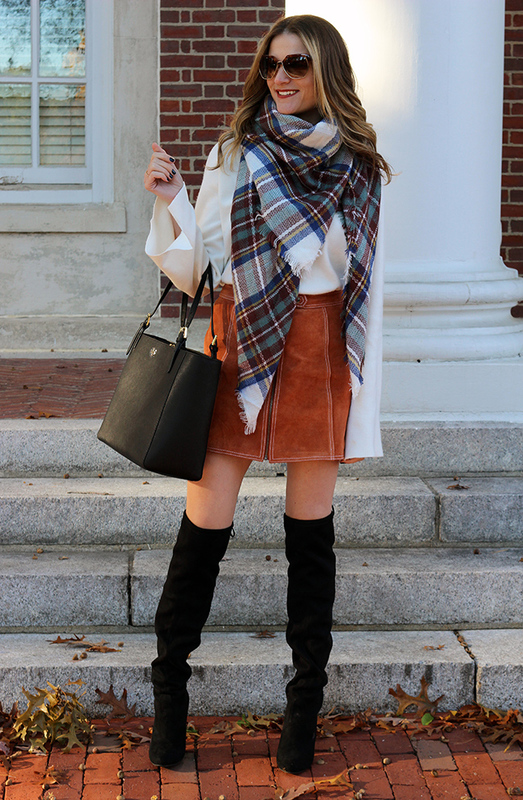 I decided to break out my suede skirt that I got from Topshop last year, and thought it made a perfect pairing with the scarf. 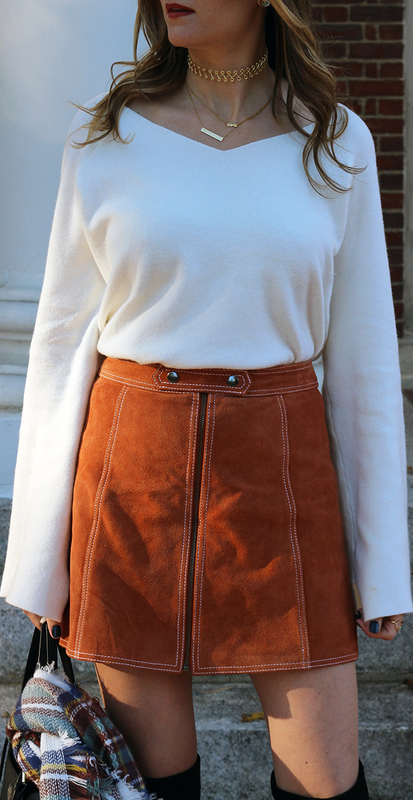 Suede skirts are such classic pieces, and although mine is no longer available, I've linked some great currents options below. A super soft knit (this one I cannot stop wearing) and pair of OTK boots completed my look. 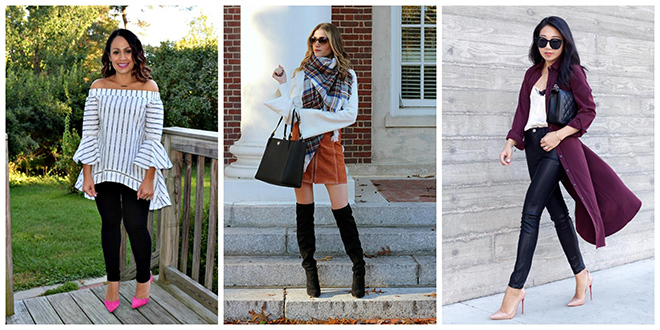 Cozy sweaters, over the knee boots, suede skirts, and plaid scarves are my favorite fall pieces. 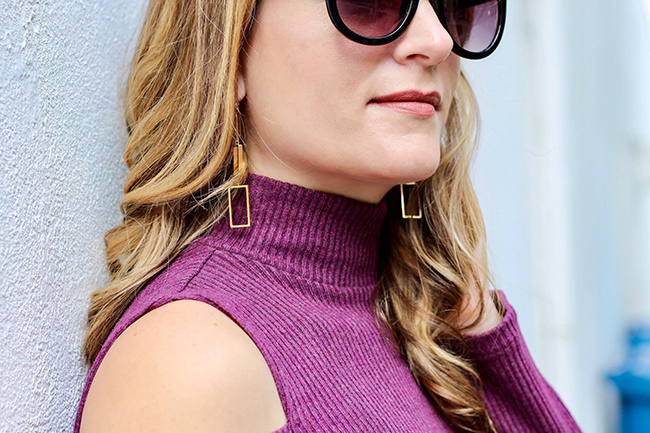 I'd love to hear, what are your favorite fall items? The feature blogger of the week is Ruth from My Little Nest. I love this momma of two's style, and am obsessed with this fur coat. Make sure to visit her blog and say hello! If you read Friday's post, you know that I have a new favorite store here in the Boston area called Shake The Tree. 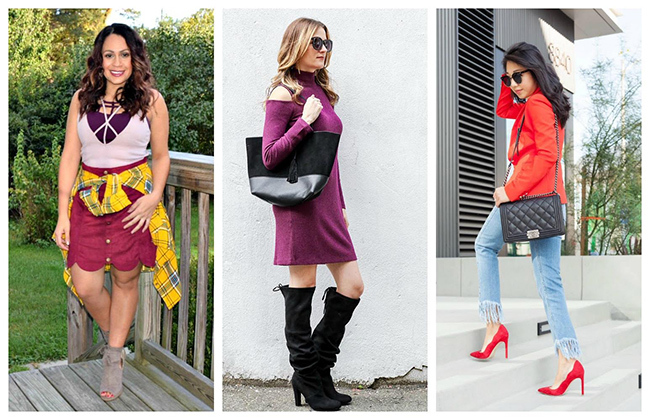 Although the store has been around for years, I only recently discovered it, (which I still can't believe I didn't learn about it sooner) and am happy to partner with Shake The Tree to share couple of looks from their amazing selection of clothing. Today I'm sharing my second look. In case you missed the first look, make sure to check it out, here, because I'm obsessed with that dress! This outfit should be proof enough why it has become one of my favorite stores. I mean, how gorgeous is this Sanctuary Plaid Coat? Although I can totally see myself wearing it with a white tee, jeans, and over the knee boots, I love how it looked paired with this Ella Moss dress. I added a delicate gold necklace, also from the store, and finished my look look with studded heels. It's the perfect outfit to take me from the office to a nigh time event. If you're ever in Boston's North End, make sure put Shake The Tree on your to do list. Not only am I obsessed with the selection of clothing (Ella Moss, Sanctuary, Splendid, and Yumi Kim to name a few brands), but you'll also find the most beautiful handmade jewelry, small brand apothecary, contemporary home goods, cookbooks, and candles. The only problem is, you'll want to buy everything! Also, a big shout out to Katie Salerno Photography for these photos.